One of my favorite parts of Apologia Biology is the when we start dissections. Seriously. I love when the kids see first hand what we have been learning about in the text. I know that dissections can sound gross, but trust me, dissections make the curriculum come alive. Don’t skip them! Dissections in Apologia Biology start with the earthworm. Earthworms are a great introductions to invertebrates and an easy dissection to start with. The organs and structures are so easy to see and examine. Even though the Apologia Biology is a high school course, I could see elementary students doing this lab with ease. My 10 year old had no problem with it. Don’t be scared away by the thought of dissections. They truly add to the science experience and understanding of science. If your students are interested in animals and their anatomy at all, you can do dissections even without a curriculum! There are great guides and lessons available. If you have decided to do an earthworm dissection, I want it to be a great experience for you and your student. There is so much more to dissections than cutting up an animal. Dissections allow us to examine the internal structures of organisms that we normally see only in textbook diagrams. Seeing the size, color, and shape of these structures up close adds so much to the understanding of how life works. Take some time to properly prepare to get the full benefits. Good dissecting tools can make all the difference in your dissection experience. I’ve had people tell me how hard it was to do the dissections that their curriculum called for. Then, they tell me they were using a paring knife from the kitchen. Well, that’s the problem. Dissection tools aren’t that expensive and are easy to order. Make the investment. All you need is dissecting tools, dissecting pins, dissecting pans or foam plate, a specimen and a dissection guide. You can order them from may sources. 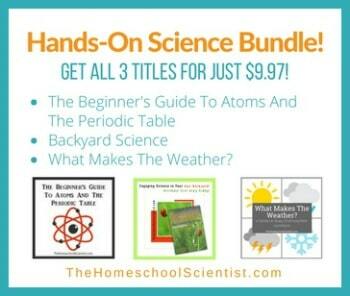 I like Homeschool Science Tools and Nature’s Workshop Plus. Amazon, also, has some good dissection tool sets. The quality of your specimens can make or break your dissection experience. Stick with tried and true resources like Homeschool Science Tools and Nature’s Workshop Plus for your specimens. You might find a cheaper price from other sources, but my experience has been old or damaged specimens. You get what you pay for. Nothing ruins the experience like an earthworm that is so damaged that you can’t find the structures that you are looking for or one that is so old and smells so bad you can’t be in the same room with it! The Apologia Biology curriculum has excellent dissection instructions. They take you step by step through the process and make it so easy. For an even greater experience and a personal dissection walk-through, get the Apologia Biology companion instructional DVD. It is fantastic! If you are dissecting outside of a curriculum, look for guides from your specimen source. Give your students plenty of time for dissections. Don’t rush them. Sometimes they can be a bit squeamish about cutting into the specimen and that’s fine. Allow them some time to get accustomed to the idea, and then be ready to help them out. I have to admit that I don’t like the initial cutting into animals, but when the internal structures are revealed all unease disappears. There are lots of resources online that will help your earthworm dissection experience, too. Here are just a few I discovered. Earthworm dissection lesson worksheet – really great resource! How do you feel about dissections? Do you have any favorite dissection resources? Great ideas! Really phenomenal. This will help me a lot as I’m thinking about this. Stunning ideas. Thanks a lot.